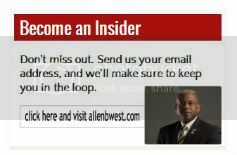 (WASHINGTON)— Congressman Allen West (R-FL) today introduced the Limited End Strength Reduction Act of 2012, ensuring our Army and Marine Corps have the financial resources they need for a responsible drawdown in Afghanistan, while continuing to meet our National Security objectives. The bill slows the pace of the President’s end strength reductions by placing limits on the number of troops than can be eliminated annually. The bill requires the Army not be reduced by more than 15,000 members per year during fiscal years 2014 through 2017. The bill requires the Marine Corps not be reduced by more than 5,000 members per year during fiscal years 2014 through 2017. In addition, the Limited End Strength Reduction Act assures our military has the resources it needs to prevent overly burdensome or repeated deployments among our men and women serving, who have been at war now for more than ten years. This entry was posted in Veterans/Military and tagged Afghanistan, Allen West Republic, Army, Congressman Allen West, Howard McKeon, Marine, Rep Allen West, United State, United States Armed Forces, United States House Armed Services Committee, United States Marine Corps. Bookmark the permalink.